I began a new life when I married. A sinner became a pastors’ wife. I lived in fear of the church members finding out my “true identity”. As in everything in my life, I wanted to be perfect. Would they judge me for my past? I distanced myself. Then I met a few Christian women who shared their stories with me. They told me of God’s love for them. They told me God had forgiven their sins. I learned that Jesus had absolutely died for my sins too. God had offered his only Son, Jesus, as the sacrifice for all sinners – including me. He was beaten for my sins! 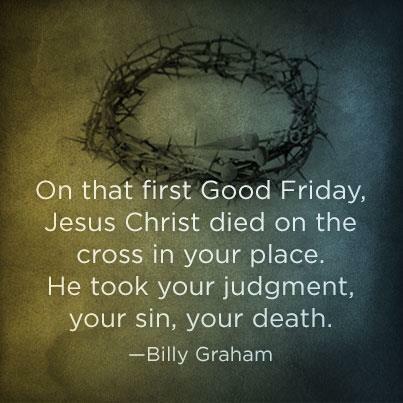 He died for my transgressions! He loved me! My wall crumbled as I fell into my Lord’s sweet embrace. His love put my feet on a new path. Do you know Jesus died for you too? Easter Sunday is coming, but we have to go through the cross to get there. We will read how Jesus suffered and died – crucified in our place. His death will echo in our spirits. We will remember our Heavenly Father chose to sacrifice His only Son for all people. Jesus also had a choice. He chose the agony of the cross. God loves us that much! “For God so loved the world that he gave his one and only Son, that whoever believes in him shall not perish but have eternal life” (John 3:16 NIV). After I made a profession of faith and the pastor baptized me I thought, “Shouldn’t I feel saved?” I wondered what I did wrong. Caught in a storm of faith, I believed I was unforgivable. I avoided Christians, Sunday school, and Bible study—fearing condemnation. When I opened my heart to God’s love and forgiveness, many wounds healed and sinful habits fell away. Are you caught in a storm of faith? Are we of stronger faith than the disciples? Is our storm any different? Not mine. Like the disciples, I lived in the flesh for many years. The devil knows our weaknesses and failures as he knew the disciples. Our separation from God pleases the evil one. After reading a children’s book about Elijah and Elisha, I prayed for faith like theirs. 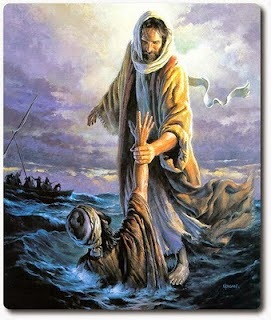 Then one day, in the midst of my storm, Jesus showed up, cleaned me up and filled me up! Yet I still fall short of God’s desire in my faith daily and must feed on his word continuously. “Strengthen your commitment to Christ—now. Don’t wait until the storms of temptation, or sickness, or old age threaten to blow you off-course; now is the time to strengthen your faith.” ― Billy Graham, The Heaven Answer Book. “When they had crossed, Elijah said to Elisha, ‘Tell me, what can I do for you before I am taken from you?’ ‘Let me inherit a double portion of your spirit,’ Elisha replied (2 Kings 2:9 NIV).